People around the world shed a little tear when Polaroid announced that it would stop producing the instant film that had become synonymous with the company’s name. The folks at The Impossible Project took up the torch and began producing instant film for Polaroid instant cameras, but they also realized that the photography world has changed significantly. They set out to produce something that was distinctly Polaroid, but that would also cater to the new generation of photographers who use their iPhones as their primary cameras. 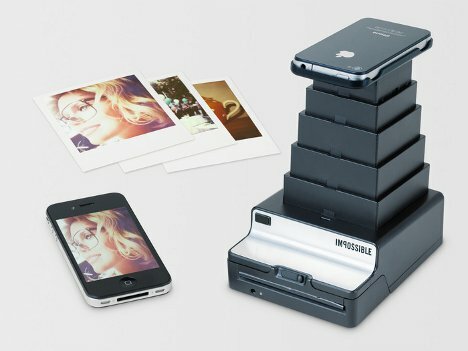 The Impossible Instant Lab combines the best qualities of instant film photography and iPhone photography to create something entirely new and kind of magical. The device is more or less an iPhone cradle that turns digital photos into instant analog photo prints that you can actually touch, write on, and hand off to friends. 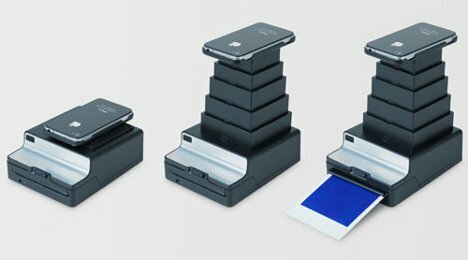 The portable “lab” makes it simple to turn iPhone photographs into physical instant film photos. Using the Instant Lab iPhone app, you pick the photo you want to print. Place the iPhone on the cradle, open the device’s shutter, and push a button to eject the exposed photo. That’s it – your high-tech digital photo is now a retro, low-tech, completely awesome Polaroid. There are, of course, plenty of wi-fi and Bluetooth photo printers that can spit out hard copies of digital iPhone photos. 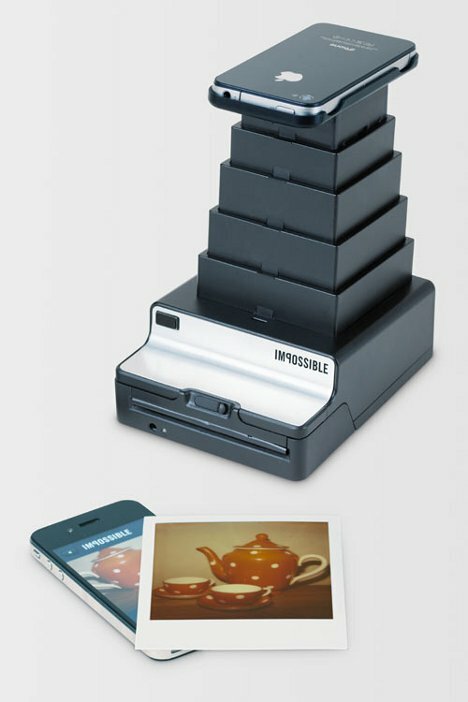 The Impossible Instant Lab isn’t for the people who are satisfied with those pictures. This gadget is for the people who have felt like something is missing from their lives ever since Polaroid abandoned their instant photograph fans.